At such famous buildings, I ask myself the question, what to shoot which is not visible on the web hundred times already. Still, the classical shots have their eligibility, and I photograph them too, but then I try to take some different angels or sceneries. 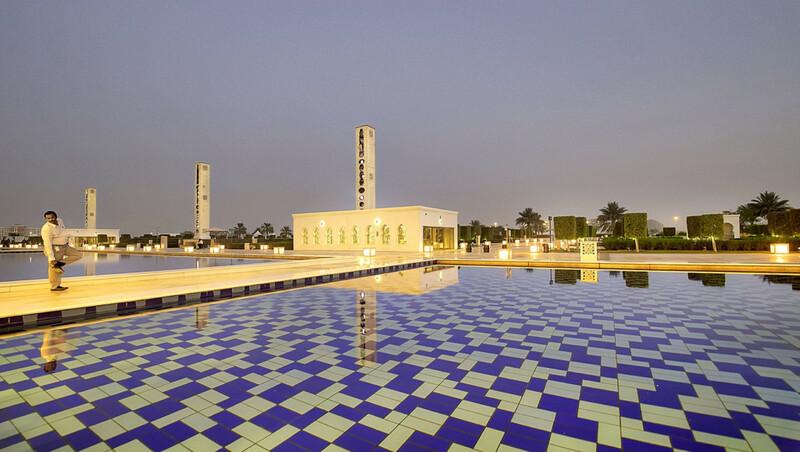 Like here outside the Sheikh Zayed Mosque in Abu Dhabi which offers a vast area of water-pools, buildings an pillars.